The Token Sale will last for 30 days (or until all the tokens are sold) with the bonus amount decrease according to acquried amount of BTC as shown on the above ICO progress bar. At the end of the Token Sale the remaining unsold tokens will be burned and share of all Token holders will be proportionally increased. TrueFlip advisors and management team cosists of some well known professionals from cryptocurrency world. JackPot. A lottery will be interesting only if there is a BIG Jackpot. That's why we want to raise 3,062.5 BTC for Jackpot via token sale campaign. 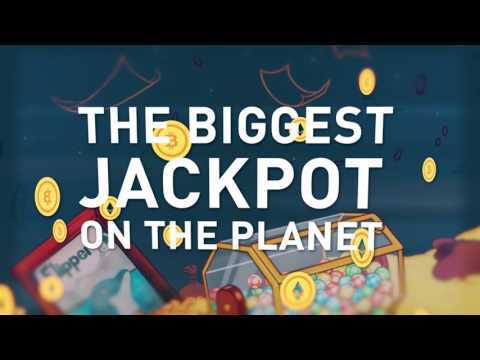 Jackpot will be secured on cold wallets with the use of multi-signature escrow involving three community stakeholders, while the development team does not have any access to these funds. So when someone lucky hits the Jackpot, it will be transferred manually. Transparency. We want to prove to the blockchain community that our game is fair. At this very moment TrueFlip is not 100% decentralized. Our team is aware about it and has a plan on how to make TrueFlip as much decentralized as virtually possible. Our next goal is to make the lottery independent on any third party (including the team). Development. We plan to develop 3 more cool lotteries. We will describe them in the WP. Marketing and PR. We understand that the project can hardly attract millions of customers without marketing budget. For that reason we have created an efficient marketing strategy. The budget for our global marketing campaign will be accumulated from TFL token sale.